A Tweet I received from a Spanish follower hours after the death of Apple founder Steve Jobs caught my attention. It said, "In Spain, Jobs wouldn't have been able to do anything, because it's illegal to start a business in your garage, and nobody would give you a penny." The comment raises the interesting questions of why there aren't more innovators such as Jobs -- or Microsoft founder Bill Gates or Facebook founder Mark Zuckerberg or so many others -- in other parts of the world, and whether the United States will continue to be the technological center of the planet at a time when its economic, political and military clout are diminishing. Jobs, who died at age 56 after a long fight with pancreatic cancer, went to a good high school in a high-tech California area and co-founded Apple in his parents' garage at age 20. Ten years later, after receiving seed money from several venture capitalists, Apple became a $2 billion company with 4,000 employees, and has developed a long list of innovations that changed the world, including the Apple computer, the iPod, the iPhone and most recently the iPad. In 1985, Jobs left the company amid a power struggle within the company, and started a period that he later described as one of the most creative in his life. He founded NeXT Computer with little money, but soon got billionaire Ross Perot to invest heavily in the company, and five years later produced the first NeXT work stations. Shortly after starting NeXT, Jobs bought Pixar, then a little-known computer graphics company, and started producing movies such as Toy Story and other computer-animated movies. He returned to Apple in 1996, and what followed is history. Throughout his life, he registered 338 U.S. patents. Judging from international statistics, my Twitter correspondent may be right in that Jobs would have had to be very patient -- and lucky -- to start his computer company in Spain or in other countries, or getting funds to develop it. According to the World Bank's "Doing Business 2011" report, it takes six days and six legal procedures to start a business in the United States, compared with 47 days and 10 legal procedures in Spain, 147 days and 17 legal procedures in Venezuela, 120 days and 15 legal procedures in Brazil, 26 days and 14 legal procedures in Argentina, and nine days and six legal procedures in Mexico. When it comes to how easy it is to get credit to start a business, the United States ranks 6th in the world, Peru 15th, Spain and Mexico 46th, Argentina 65th, Chile 72nd and Venezuela 176th, the report says. Regarding intellectual protection for patents -- or keeping others from stealing your invention -- the United States ranks 5th in the world, Peru 20th, Chile 28th, Mexico 44th, Brazil 74th, Spain 93rd, Argentina 109th, and Venezuela 179th, the study says. Not measured in the World Bank report, but just as important in the case of Jobs and so many other innovators, is society's tolerance for failure. In many other countries, Jobs' career may have ended after being pushed out of Apple. Both his professional peers and potential investors would have seen him as a has-been, but in the Silicon Valley culture of inventors, he soon re-invented himself and was back in business. 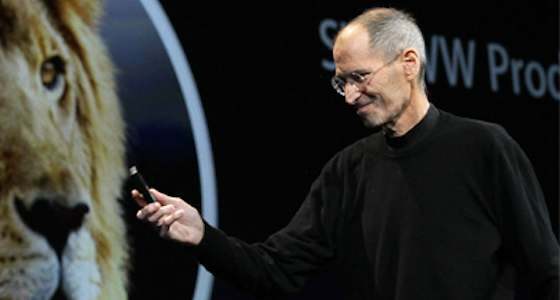 My opinion: Jobs was a great innovator, but I don't agree with the countless articles that appeared after his death describing him as a unique genius. I'm sure that there are potential Steve Jobs, or Gates, or Zuckerbergs, in many other countries, but they often are not allowed to unleash their creative talents because their environments don't reward -- and often repress -- innovation. In several European and most Latin American countries, Jobs would have joined the armies of frustrated entrepreneurs unable to materialize their inventions, or would have been one more of the millions of business people working in the underground economy, without ever mass-producing anything. And in today's America, I wonder whether Jobs would have gotten the financing needed to start his first ventures. So as we remember Jobs, let's not dwell only on the fact that he was outstanding. Let's also keep in mind that part of his success was due to the Silicon Valley innovation culture in which he grew up, and ask ourselves whether our countries -- including the United States -- are doing their best to help their innovators succeed.